We keep our "Dachshund children" close so that they all have the opportunity to enjoy individual love, affection, and most importantly equal "laptime". The family loves the dogs as much as we do and are extremely supportive of our "dogmanding" lifestyle. Our parents live next to Dogwood Acres and assist in herding the occassional Doxie stampedes. It takes us all and we could not do it without their support!! Our dogs are not confined to runs - they play freely in a large fenced in area during the day and sleep inside at night. 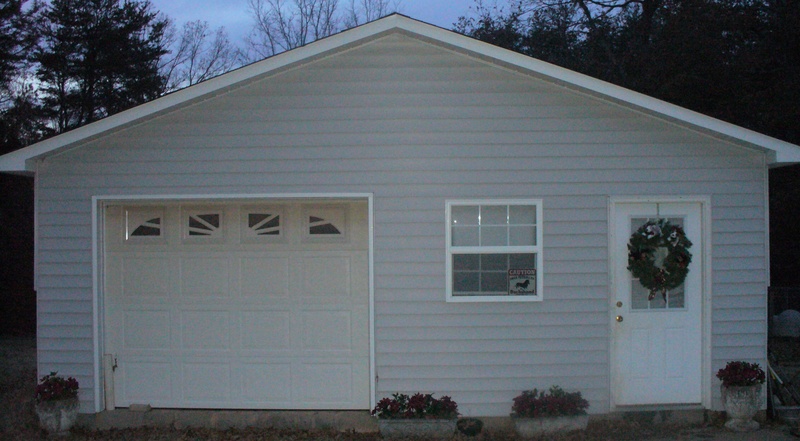 They have access to a climate controlled kennel as needed- the Dogwood Acres Doghouse! 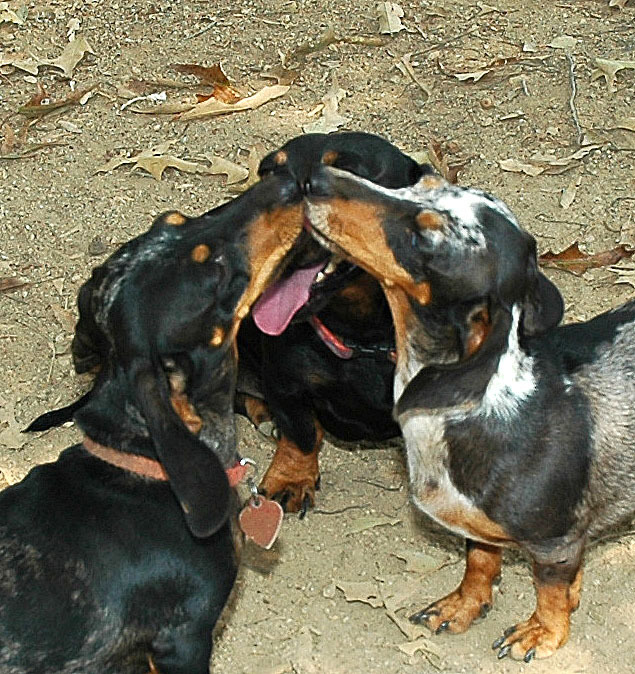 Our primary focus is on breeding for excellent temperaments while maintaining doxie conformation. We feel it is the responsibility of any reputable breeder to follow breeding criteria that ensures continuing the integrity of the Dachshund breed. Our best friend is also our Veterinarian. She owns and operates Cedar Lake Animal Hospital here in town. She administers all vaccines, de-wormings, and health exams to ensure that all of my dogs are healthy and genetically sound. We consult on breeding prospect versus pet prospect. Any dog that does not meet my breeding standards is spayed/ neutered and placed with a loving family. Our goal is to raise healthy, loving, well socialized babies. All puppies are vaccinated and started on a heart worm prevention program at six weeks. We use the Science Diet food program. Our puppy litters are raised in the home and socialized from birth. Puppy adoptions include AKC registration, health certificates and puppy packs. All puppies have a health and temperament guarantee.